Lala Reyes' grandmother is descended from a family of renowned rebozo--, or shawl-makers. The striped (caramelo) is the most beautiful of all, and the one that makes its way, like the family history it has come to represent, into Lala's possession. The novel opens with the Reyes' annual car trip--a caravan overflowing with children, laughter, and quarrels--from Chicago to "the other side": Mexico City. It is there, each year, that Lala hears her family's stories, separating the truth from the "healthy lies" that have ricocheted from one generation to the next. We travel from the Mexico City that was the "Paris of the New World" to the music-filled streets of Chicago at the dawn of the Roaring Twenties--and finally, to Lala's own difficult adolescence in the not-quite-promised land of San Antonio, Texas. 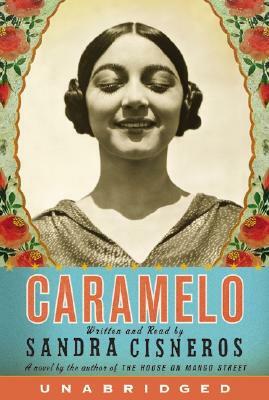 Caramelo is a vital, wise, romantic tale of homelands, sometimes real, sometimes imagined. Vivid, funny, intimate, historical, it is a brilliant work destined to become a classic: a major new novel from one of our country's most beloved storytellers.